Chairmanship of Group of 77 allows PA to operate like a member state of the UN. 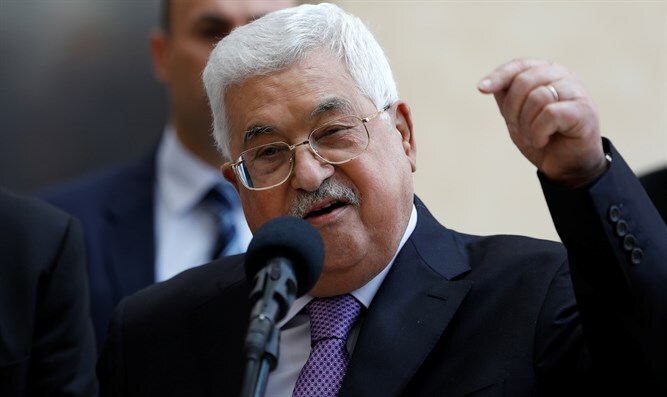 Palestinian Authority (PA) chairman Mahmoud Abbas arrived in New York City on Monday to assume the chairmanship of a major bloc of developing countries at the United Nations, JTA reported. Abbas on Tuesday will succeed Egypt as the leader of the Group of 77. In October, the United Nations General Assembly voted in favor of allowing the PA to chair the group in 2019, thus allowing the PA to act more like a full UN member state during meetings in 2019. “It is also an important achievement to assert the Palestinian identity in the international community, which colonial powers have tried to abolish over many centuries,” he told the Ma’an news agency. The PA has unilaterally joined international organizations in recent years as part of the diplomatic war it has been waging against Israel and its attempts to achieve international recognition as a state while bypassing peace talks. In 2012, the UN General Assembly overwhelmingly approved the de facto recognition of the “state of Palestine” when it upgraded the PA’s UN observer status to non-member state. The Egyptian-drafted resolution approved in October allows the PA to procedurally operate like a member state when acting on behalf of the G77 and China - making statements, submitting and co-sponsoring proposals and amendments, giving rights of reply and raising points of order. In recent years the PA has also joined the International Criminal Court (ICC) and has attempted to push for an investigation of alleged “Israeli war crimes” in Judea, Samaria and Gaza. It has also joined the Organization for the Prohibition of Chemical Weapons (OPCW) as well as the Geneva-based UN trade organization UNCTAD, Vienna-based industrial development agency UNIDO and the Chemical Weapons Convention.